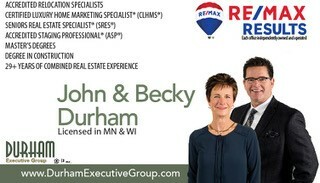 We are delighted to have helped our clients relocate to River Falls, WI! Their dream was to own a home in the country with acreage. We helped them find a lovely home with plenty of land for their kids to explore. The most critical issue with this transaction was time. Our client was very busy with his new job, and charged with finding a new home here in River Falls while his wife packed up and got the kids ready to move out of state. Because we are a husband and wife team, we were able to provide the flexibility, time and attention our client deserved. It was a little tricky finding just the right property that met their criteria and was in their price range, but with some creative thinking, we introduced them to the idea of looking for a home with acreage in River Falls, a community we love! We are so happy to see them settled into their new home! We are SIRVA Accredited Relocation Agents and work with all the local employers in their relocation programs. If you are considering relocating to River Falls, WI or the surrounding area, contact us! We would be delighted to show you around and help you find the perfect home.